If you're a freelancer or aspiring to be one, you're not alone. Just in the U.S., 53 million people are working as freelancers. The way people work is rapidly changing, and freelance writing is one of the best ways to earn a full-time income from home. Freelance writing from home is fun, but it also requires some determination, self-discipline, and skill. It can be hard to keep yourself organized and on track. That's why nearly every successful freelance writer has a few tools and resources in their arsenal to help them with their day-to-day operations. 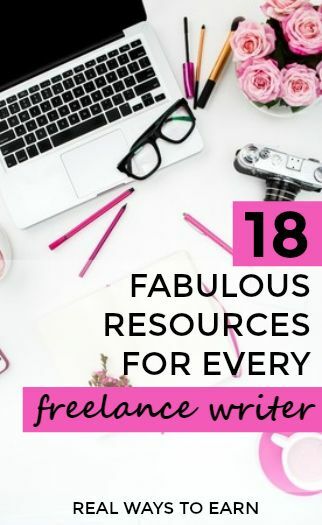 To give you a head start, here is a handy list of some of the most helpful resources for freelance writers available online. And the good news is – most of them are completely free! Once your business has started growing, you can decide whether or not to upgrade some of these to paid services, or invest in some other resources. The Problogger job board is likely the most popular job boards for freelance writers – mainly because it's free and because work is posted so frequently. You're likely to see at least three listings a day, with a wide range of pay. You should have no trouble landing some decent-paying gigs on this board, but keep an eye out for listings that expect the world yet pay peanuts in return. BloggingPro jobs are posted less frequently than Problogger jobs, but they also post listings for editing and copywriting. You can find some high quality listings on this board if you check frequently. BloggingPro is also free to search. This free job board lists media jobs in categories such as journalism, publishing, marketing, and even television. Most MediaBistro jobs listed here are actually full or part-time salaried jobs, and not a lot are remote. Paid to Blog offers a paid membership job board where they curate and post screened legitimate freelance writing gigs. Most are low paying, but not a bad place for beginners to try out their pitching skills. The current membership rate is $30 monthly, or you can pay quarterly or yearly for a discount. Contena is also a paid job board, and newer than many of the others here. Their membership rates start at $29 a month for the basic service, and save the freelancer time by curating listings from many popular online job sources so you only have to visit one place to check for gigs. The folks at Freelance Writing curate jobs from several sources including Craigslist and Upwork. It's a free resource where you can also sign up for a newsletter called Morning Coffee to get new listings emailed to you daily. Some other general job boards where you can often find quality freelance work include Indeed, Simply Hired, Craigslist (especially NY and San Francisco), and Virtual Vocations. Not only is LinkedIn a good place to network, LinkedIn Jobs can also be a fantastic source for landing some pretty sweet freelance writing gigs. You can type the kind of job you're looking for into the search bar and pull up a whole slew of listings you might find appealing. If you're like most people you probably visit Facebook daily – so why not turn it into a job finding source? There are a ton of freelance writing job groups you can ask to join that list gigs frequently. If you're not sure where to find them, just type, “freelance writing jobs” to pull up a listing of relevant resources for freelance writers. The great thing about these job listings is that they're a little more exclusive than public job boards since you have to join the group to actually see the listings. You might be surprised to learn that you can land jobs on Twitter by using some creative hashtagging. Search for, “#freelance #jobs” and you'll not only pull up some unique listings companies have posted, but also some users you can follow to see daily listings in your feed. To get started, you can follow @jjobs_tweets, @FreelanceWJ, @TweelanceWriter, @WhoPaysWriters, and @Writing_Gigs. This is an approach freelance writers can use to effectively pitch prospects who may not even know they need a freelance writer. You can find companies to introduce yourself to by looking around for startups or websites in your niche that are lacking content. To get started, check out Manta to find some small businesses and checking out their blog content. Trello is a visual organization and collaboration tool. You can use it to organize tasks by adding “cards” to your workspace. You can then add notes, labels, team members and attachments to the cards using a drag-and-drop interface. Trello is a fun tool for highly visual people. It's laid out a little like Pinterest and you can even change up your background and colors to make it more personal. The basic version of Trello is free and probably all you'll ever need unless you need some of the richer features like Evernote and MailChimp integration, or extremely large file attachments. Speaking of Evernote, this is one of the best tools available for storing research or notes you come across while browsing the web. There's a handy browser extension you can install to easily pull up an options menu for saving any screenshots, articles or pages you might need later. When you're ready to retrieve your notes, you simply log into your account from any device and voila! All your notes are there in one easy-to-find spot. Basic Evernote is free, or you can sign up for Plus or Premium plans for added features like offline access and added storage. Write To Done is geared toward writers in all media forms – blogging, fiction, and non-fiction. They offer tons of valuable content on the art of writing, marketing and ways to boost your authority. Pink-haired Sophie Lizard offers up no B.S. freelance advice with attitude and fun over at Be a Freelance Blogger. She also offers freelance blogging courses for both beginners and intermediates – and a whole host of other resources for freelance writers. FreelancerFAQs aims to answer the most pressing questions freelancer writers have. You'll find an overabundance of actionable advice and how-to's here from successful freelance writers all over the globe. Plus, it's one of the sites I manage and write on! If you're wondering how to create all those pink arrows and highlights you see on screenshots across the web, there's a good chance they were done with Skitch. It's a simple and free app that does one thing very well – annotations. Many bloggers consider it to be one of the most valuable tools in their toolbox. Spelling and grammar may not be your strong suit, but you can run all your drafts through Grammarly for free to check for mistakes. If you also want help fixing those errors, you will need to upgrade to the paid version but Grammarly also offers a browser extension that catches and corrects some errors for free. FreshBooks comes highly recommended by bloggers like Carrie Smith at Careful Cents for all your bookkeeping needs. You can set up invoicing, track your work time, lower your PayPal fees, and a whole lot more. What's in Your Freelance Writing Toolbox? Your list of tools and resources will continue to grow as your business grows, and the good news is that there are tons of freebies out there for freelance writers. You'll find there are some resources you can't live without after you try them, and some you'd rather never use again. The key is to find whatever helps you grow your business in the most efficient way possible. Over to you – which resource would help you grow your freelance writing business? Elna Cain is a freelance writer and coach. She writes for Blogging Wizard, PageWiz, WPKube and more. She loves to help new freelance writers avoid mistakes and show them how they can have a successful freelance writing business.